Join us for dinner, a talk and some live music. Now on the THIRD Sunday of every month in The St John's Centre, 132 St Johns Rd, Glebe. Join us Easter Sunday at 9:30am. With Holy Communion, followed by a fish barbecue! Join us for our Good Friday Service in the church at 9:30am. Come and gather together under the Scarred Tree, around the fire. We’ll remember the example of Jesus and wash each others feet. Affectionately known as GIG, the Glebe Indigenous Christian Gathering is held on the first Saturday of each month in the St John's Centre. Come from 4pm, bring a plate to share, all welcome! Come, gather with us on Saturday 6 April, 4pm. Join us for our Ash Wednesday Service at 7:30pm in the church. Meet us on the front lawn of the church at 5:30pm for Pancakes and games! Join us Christmas Morning at 9:30am in the church, as we celebrate the birth of our Saviour! Join us for our Christmas Eve Service at 11pm in the Church! Join us for our annual Christmas Lunch! Monday 17th December 2018. Doors open at 11:30am. Free! Join us for our annual service of singing and celebration. Afterward stay to enjoy each other’s company and the baby animals on the front lawn. Scarred Tree Indigenous Ministries, with the support of St John’s Glebe are excited to announce our Family Christmas Community Concert! GAPP will be closed Monday 1st October for the Labour Day Long Weekend. Join us for morning prayer in the church. Monday & Wednesday mornings 8-8:30am. Join us as we celebrate the beginning of NAIDOC week. 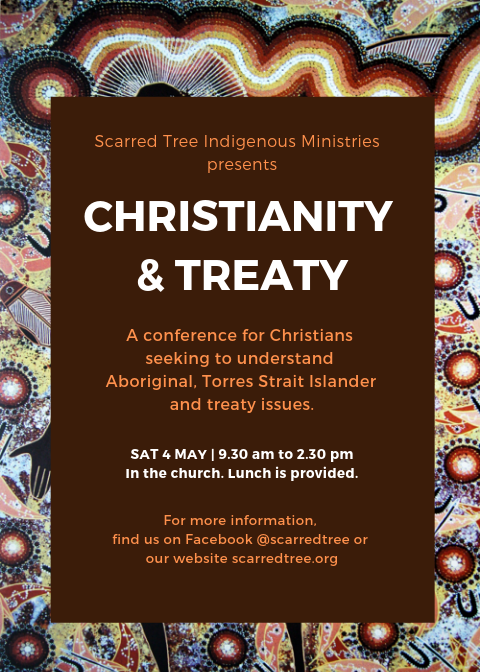 After the service we will meet on the front lawn of the church for a BBQ lunch and cultural activities hosted by our Scarred Tree Ministries. All welcome! GAPP will be closed for the Anzac Day Public Holiday. We'll be back again Monday 30th April. Join us for dinner, a talk and some live music. First Sunday of every month in The St John's Centre, 132 St Johns Rd, Glebe. Join us Christmas Morning as we give thanks for the birth of our Saviour! Join us on Christmas Eve for our 9:30am or 11pm Service with Supper to follow. Join us for a GAPP Christmas Lunch with all the trimmings! It's fully catered and on the house! All welcome. GAPP will close this day and reopen on Monday 22nd January 2018. Join us for a very St John's Carols Service this Sunday! There'll be special items and Carols of course, followed by morning tea on the front lawn with baby animals! Sign up to receive news and upcoming events at St. John's.